We are really excited to be finally releasing our new cake class schedules for 2012. Our Sugarbliss Cake Decorating Studio is fully finished and ready to go! Please find listed below our new schedule for August & September 2012. We will be adding shortly further course dates for our advanced decorating classes, 1 day & 3 day workshops and individual speciality classes which will be held in October & November 2012. All our classes are held at our cake craft shop, 1707 High Street Knowle, Solihull, West Midlands B93 0LN. Classes are on a first come first serve basis so please contact us as soon as possible to book your space for August/September. We are regular asked by our customers about sugarpaste/rolled fondant. So we thought it would be a good idea to put something together to help answer some of those many questions. Sugarpaste is a soft paste used for covering a cake or making simple models or flowers. It is ready to roll after kneading well, and can be bought in various colours and different sizes from 250g-10kg. You can also purchase chocolate and chocolate flavour (dark, milk, white & caramel) pastes for you to use when decorating a cake. If you are making a cake with different colours, it is quicker for you to use blocks of ready coloured sugarpaste e.g. red, blue or orange rather than colouring with food colouring. 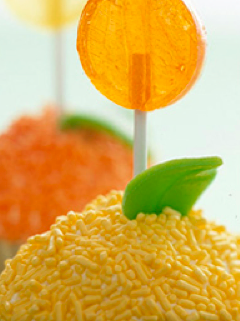 Sugarpaste can also be mixed to create further different colours for example you can mix red and yellow to create orange. You can also use a white sugarpaste and add food colouring to it. When adding colour to a sugarpaste, you should use a concentrated paste colour and add a small amount each time until the desired colour is created. You should avoid using a liquid food colouring as this will alter the consistency of the paste and make it sticky and unworkable. Remember if you colour your own paste be sure to make up enough as matching the colour later on can be difficult. Sugarpaste can also be used to create basic models and will stick without the use of glue. Simple flowers or other shapes such as letters may also be made using any of the vast range of plastic or metal cutters available. If you are going to make more complicated modeling and shapes, you can mix together sugarpaste and flowerpaste 50/50. Alternatively you can add a powdered gum (gum traganth) to the sugarpaste (2 tspn to every 500g of sugarpaste), or you can simply buy a ready to use modelling paste. knead the sugarpaste until it is soft and easy to work with. This is made easier if icing sugar is used sparingly on the work surface to prevent sticking. Roll out the sugarpaste to the shape and size of the cake and board you are covering. Roll out to a minimum thickness of 8mm you can use spacers, which are placed either side of the paste and will eliminate any guess work with the thickness and will roll the icing evenly. Keep rolling and turning the paste to prevent sticking, adding more icing sugar to the work surface if necessary. You will always require more paste than you actually use to cover the cake for example an 8 inch round cake will require 1kg of sugarpaste. You can keep any surplus icing by placing an air tight tub and seal for future use. You can now smooth and polish the icing before lifting onto the cake. Lift the icing and if the icing is a large piece, place over a rolling pin to manoeuvre onto the prepared cake base and carefully smooth over top and down sides, eliminating the tablecloth effect by pushing folds down and out. Finally cut off around the base of the cake or at the cake boards edge. Polish with the palm of your hand or with a piece of spare paste, then use a smoother to obtain a perfect, smooth surface to your cake. Any air bubbles which appear may be eliminated by using a pin to prick the bubble and smooth over. Any rough, crazed or cracked areas can be smoothed with your fingertips or palm of hand. 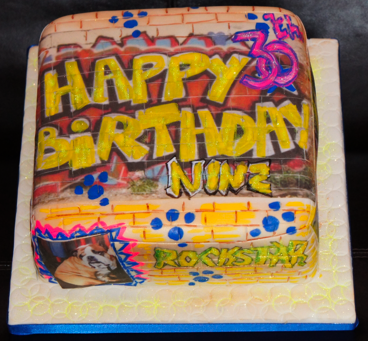 A cake which is covered in sugarpaste can be decorated in many different ways. Crimpers and embossers are quick and easy tools to create patterns and are used on fresh icing. Cutters made from plastic or metal can be used to cut out a range of shapes such as hearts, stars and then add to the cake to create your own design. Any unused paste can be stored for several months either in its pack or plastic bag, but must be airtight. Sugar products do not go off but do start to deteriorate. Once a cake is covered with paste air must be allowed to circulate around it, therefore it is best stored in a proper cardboard cake box. Do not refrigerate and do not store in a tin or airtight container. A sugarpasted cake can be stored in the freezer provided it is left to dry for 24 hours upon removal, but be aware any colours used in the decoration of the cake may ‘bleed’ into the icing when thawing. Finally, always practice on leftover paste when using a piece of equipment for the first time, or piping a design, to perfect the technique before using on the cake itself.